The sub capital bar protects the metatarsal heads and relieves the anterior arch of the foot when the forefoot is highly solicited (up and downs on the forefoot). It also contributes to prevent fatigue fractures on the sub capital support.  • The internal arch of the foot reduces light and strong fascia tension caused impacts of the foot on the ground. • The heel insert prevents heel pain with heel spurs where the insertions of the anterior plantar fascia stand after repeated impact with the ground. This insert also allow to reduce stress from the ground with maximum shock and vibration absorption at the heel and thus to protect the underling joints: knees, hips and spine. • Metatarsal area (sub capital bar): 5.7mm +/-10%, foot arch: 6.8 mm +/-10%; heel area: 6.8mm +/-10%; other areas: 2.5mm +/-10%. The ¾ « Men Perform » insole is anti-static which means that it minimizes the accumulation of the electrostatic charges by dissipating them.